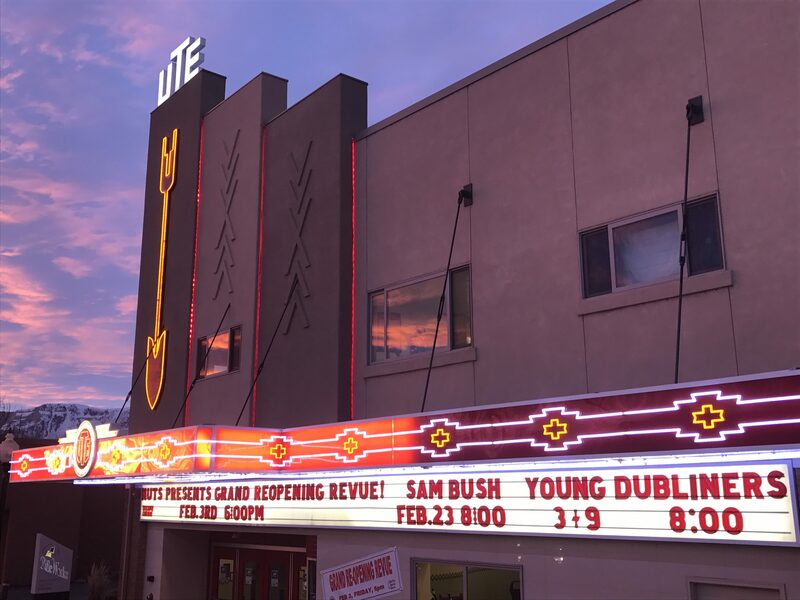 The Ute Theater is an event center owned and operated by the City of Rifle. After an extensive renovation project the Ute was opened to the public in May 2014. With restored Art-Deco features, an expanded stage, removable seating for over 300 people, and state-of-the-art audio-visual capabilities, the Ute is available for public and private events including concerts, performances, films, community celebrations, wedding receptions, birthday parties, and more. Many events at the theater are General Admission tickets where a ticket does not guarantee a seat and may include a dance floor. Several events are reserved seating with seats on the floor, stadium style seating, and high-top tables for 2 along the sides. Book the Ute for your event by contacting Wayne Pleasants, Ute Theater Manager. The Ute is supported by the New Ute Theater Society (NUTS), a community group dedicated to the development of cultural programming and fundraising for Ute events.